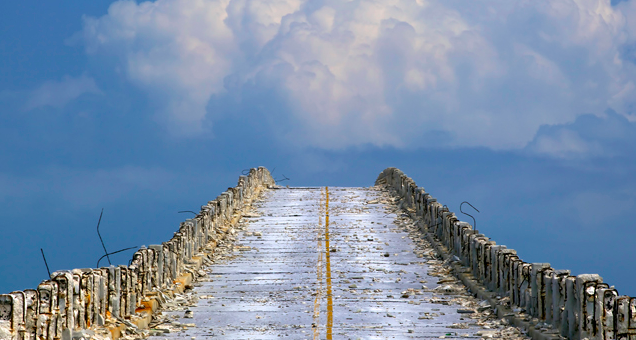 On its third CEO in four years and facing a tough financial picture, it’s time to think thru the challenges facing OneCall in 2019. First, workers’ comp is a declining business – claim counts continue to fall. When you’re as big as OCCM, structural factors tend to have a bigger impact than they do on smaller companies. The Net – Fewer claims mean fewer specialty services needed. Second, the list and type of competitors is changing as firms including Mitchell/Genex diversify. With Genex buying PCS (Priority Care Solutions), it would be logical for Mitchell to switch customers from OCCM to Genex/PCS (where this is possible). This would make sense for two main reasons: a) increases Mitchell/Genex’ top line revenue as the entire service cost is counted as revenue (for most services); and b) increases M/G’s total margin. Word is M/G has moved/is moving specialty business from OCCM to Genex/PCS and this will continue over time. Other entities such as VGM/HomeLink, HomeCareConnect, Paradigm Outcomes, and MTI America (HSA consulting client) are also working aggressively to gain market share. The Net – OCCM will likely see additional loss of revenue and associated margin. Third, the new CEO doesn’t appear to have any experience with or expertise in workers’ comp. Rone Baldwin’s last job was with Centene, a health plan company with deep expertise in Medicaid, Medicare and some individual marketplace business. He’s also had stints at other benefits and insurance firms, but nothing I saw in property and casualty insurance or claims. Mr Baldwin left Centene in 2016; I asked OCCM what he’s been doing since then; they weren’t able to respond. 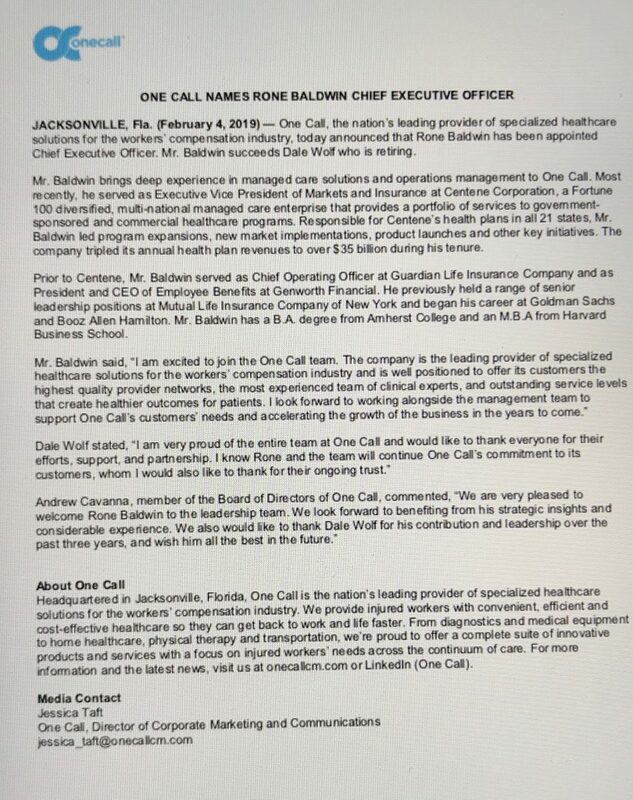 The Net – With the workers’ comp business flat to declining, OCCM owners have brought in a new CEO who is a healthcare guy. OCCM has been trying to push into the non-workers’ comp sectors for some time now, with limited success. Come to think of it, I can’t name any work comp entity that has had any appreciable success moving into healthcare. The Net – I’ll repeat what an investment firm asked me about OCCM – What’s the end game? And I’ll repeat my reply – Either it gets sold intact to a strategic buyer (perhaps Optum or Mitchell), gets broken up and sold off piecemeal, or creditors take it over if/when it runs out of cash. Note – I sent several emails starting yesterday at 8 am to OCCM asking for comment. As of press time there’s been no substantive reply. I agree with you on a piecemeal sell off. Just seems more logical as I am sure some of their units are profitable. OCCM ceased being about workers and became about profit only. I understand that we are not charities, but there is a balance that was lost. Other companies do it much better. I have seen OCCM bills to payors and know they charge more for services. Not a little bit, but an outrageous amount. I find it interesting that you bring up the Genex/PCS example. I believe that Genex needed to make a move, I just think they picked the wrong company to buy. Most providers do not like PCS. They don’t pay their bills and fewer and fewer providers are working with them. They are the comp version of Carecentrix. The good providers don’t work with them because of the payment issues they have. I hope Genex can turn them around. My thought being that you can have all the referrals you want, but if you don’t have any providers to staff them, then you have nothing. Partnerships build clients and referrals., while dictatorships destroy them. Good reporting. Thanks for sharing it with your readers. My two cents: OneCall has another big headwind coming up: healthcare price transparency which will create another big hit on earnings. As we’re seeing with PBMs and their hidden markups, rebates and revenue-sharing, payers and employers will be asking for much more transparency with regard to drugs, equipment and medical services pricing. They’ll want to know what portion of each so-called medical payment goes to the supplier or to the medical provider vs. what amount goes to the re-selling vendor. Plus, they’ll be asking why a certain supplier or provider was selected for an injured worker. When this information becomes known, clients will be better able to evaluate the real value of such vendors. Of course, much remains opaque in work comp, but changes are coming. Some vendors will fight it, some will promote it. Next Next post: What do YOU think about work comp UR?